Experience has been shown that during the process of generating wind energy enormous forces are acting on mechanical parts of the wind power station. Besides this fact, an additional attrition to the normal one exists. This is due to the change in operating conditions like the weather and temperature and has a negative impact on the quality of lubricants. Therefore the frequently change of the specially constructed hydraulic system and the gear oil is important and vital prerequisite to ensure a long working life of the wind power station. 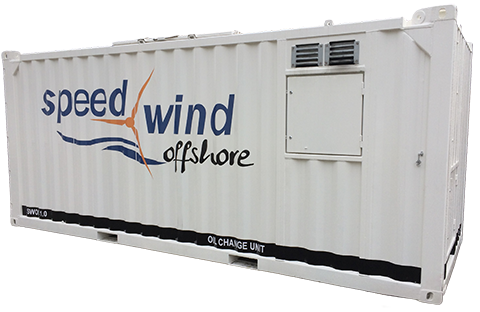 Speed Wind Offshore specially developed a special container-based system for the wind power station to suction and fill the system. 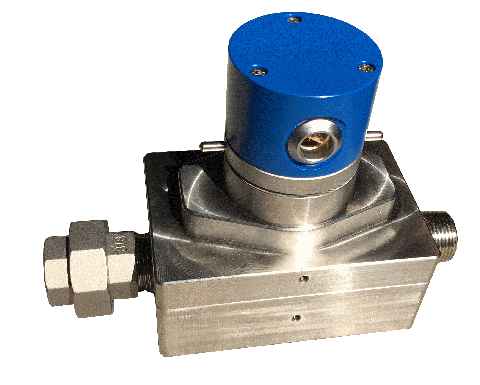 The Speed Wind Offshore developed system enables a quick and clean exchange of lubricants. In collaboration with the company Ammenn, as a supplier of special lubricants for wind power station, offers in connection with any task to do the oil change a fast, accurate, reliable and absolutely smooth transaction. The SWOC 1.0 container is a twenty-foot equivalent unit. The container is equipped with two separate hose systems and individually fills the gear and hydraulic system. The container is furnished with a protection system that prevents demolish of line, so that oil cannot leak and harm the environment. The gear oil becomes heated up to 50°C in the self-contained system before the pumping process starts. This operation is necessary to prevent thermal damage. The used Flushing oil get recovered and processed in the end. During the processing of Flushing oil abrasive and corrosive particles as well as water and oil deposits gets separated, which leads to cost savings of up to 60 per cent. A new approach for loss prevention.